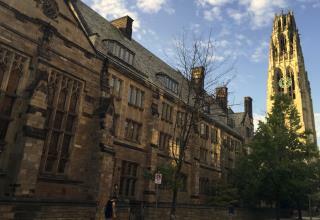 (Newser) – A dean at Yale University is taking heat for less-than-diplomatic Yelp reviews on anything from restaurants to gyms. June Chu, the dean of Pierson College, brought up race and class constantly. Though she has since deleted her Yelp account, Yale Daily News took screenshots of some of the reviews (and posted a PDF of the images here) that have "disillusioned" and "floored" some students. In one review of a Japanese restaurant, for instance, she wrote: "To put it quite simply, if you are white trash, this is the perfect night out for you!" In another, she writes about "barely educated morons" at a movie theater "trying to manage snack orders for the obese," and in still another: "If you were a white person who has no clue what mochi is, this would be fine for you." Next on Newser: Divorce in the Cards When Men Don't Like Wives' Friends? This person is opinionated and has shown total bias and a disregard for diversity and fairness. Being a Dean means you need to be objective. She needs to removed now before something a lot worst becomes public.